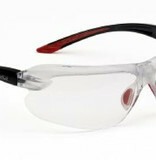 Bollé IRI-S Polycarbonate Safety Glasses Clear. Because every face is unique, Bollé Safety has developed IRI-s, ultra-modular and infinitely adaptable to every individual thanks to the B-Flex shape memory bridge. PLATINUM : This permanent coating applied on both surfaces makes them highly scratch-resistant (1.4 cd/m²), gives them high resistance to the most aggressive chemicals and slows the appearance of fogging. In any circumstances and at every moment, Platinum provides the highest safety for eyes. 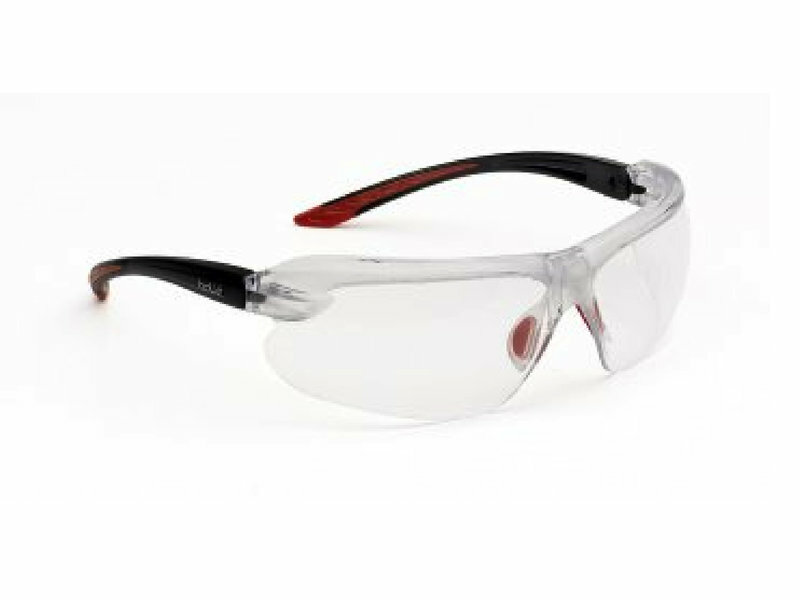 CLEAR : Technology approved for permanent wear and certified with perfect optical quality with anti-fog and antiscratch coatings. 99.9% UVA/UVB protection. ADJUSTABLE BRIDGE : Designed to adapt to the nose so the frame sits perfectly on the face. 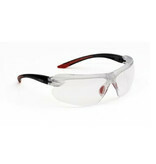 PIVOTING TEMPLES / TILTING FRONT : This technology is used to adapt the angle of the glasses to your face shape. NON-SLIP TIPGRIP : The non-slip TIPGRIP technology ensures a better fit thanks to its dualmaterial design and innovative shape, improving temple comfort and hold. 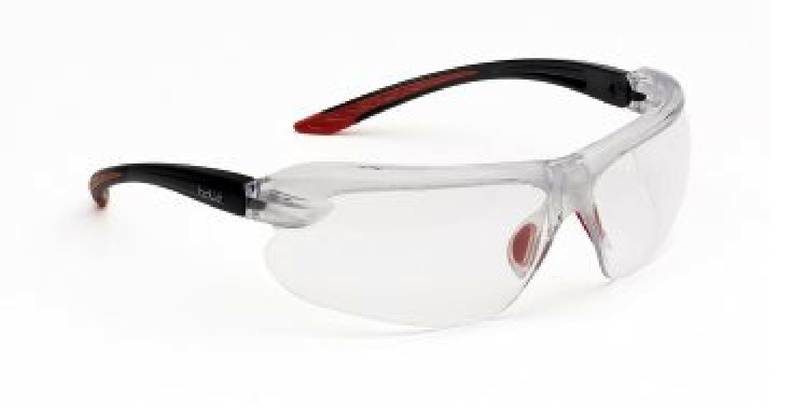 EN166 : Guaranteed minimum resistance of the protective eyewear against everyday risks including dropping the protective eyewear onto the ground, ageing by light exposure, exposure to heat or corrosion etc.